This post will conclude our journey through the major upcoming changes to Section 39 that will take place with Superpave implementation. 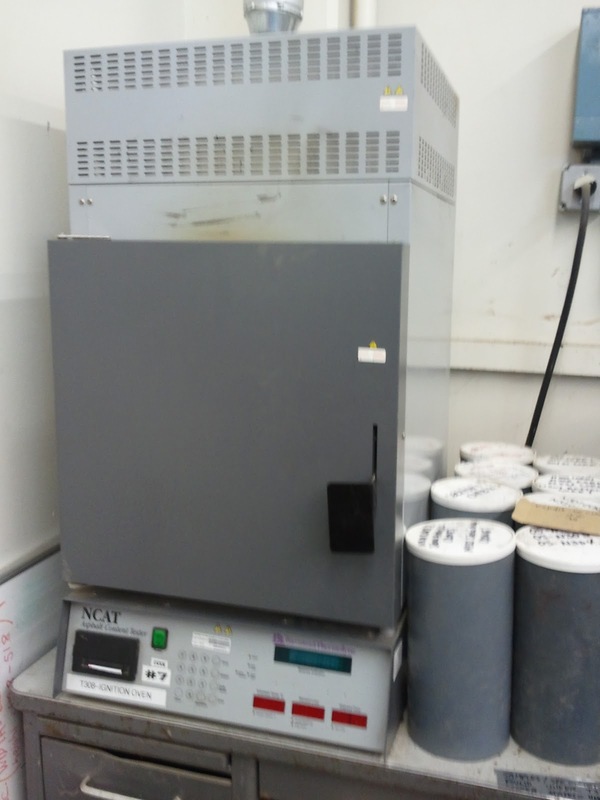 This post will focus on the changes that your laboratories will be influenced by. Our previous posts were as follows: The first post, Changes I, focused on changes to the paperwork and paving procedures. The second post, Changes II, focused on changes that affect the operations group at hot mix asphalt plants. The third post, Changes III, focused on the changes that will affect you if you produce RAP and add it to hot mix asphalt. The fourth post, Changes IV, focused on Mix Designs & Mix Verifications. Caltrans is officially going to use AASHTO test methods with Caltrans exclusions. When I say, "with Caltrans exclusions" I mean this: the AASHTO methods allow for things like a hand shaker in the SE test method. Caltrans will specify that you use the AASHTO method but will exclude certain parts of it such as not being allowed to use a hand shaker in the SE test. These changes will be noted in the Caltrans IA manual that is slated to be written (but not released) in November 2012. Since Caltrans cannot legally certify a person in AASHTO test methods, they will instead be issuing a letter of proficiency to technicians for each of the AASHTO test methods which means your technicians will still need to certify one on one with the IA inspector for all of their test methods. This also means that your technicians will be doing double certification duty because they may need to certify for the Caltrans test methods to work on non-Superpave Caltrans jobs and the AASHTO test methods to work on Superpave jobs. The letter of proficiency will only be valid for Caltrans jobs, not for city or county jobs. Letters of proficiency will be valid for 1 year. Sometime in the future Caltrans hopes to extend this to 2 years to align with the Caltrans certifications. The IA inspector will have the ability to grandfather experienced technicians into the AASHTO test methods but it will not be required for them to do so. The Caltrans IA lab certification requirements will remain the same but your lab will now also be required to have your lab certified with AMRL. For purposes of the pilot projects in 2012 & 2013, if you have submitted your paperwork to AMRL and are in the que for certification this will be enough to test on a Superpave job. Starting in 2014, it will be required to be fully certified with AMRL so start your certification process now! You can learn more about the AMRL Certification Program in our post: Inside AMRL's Certification Program from earlier this year. IA will be cracking down on how your technicians perform test methods as we move into Superpave. If IA find that you are doing a test wrong, no matter what test it was, they have the right to revoke ALL of that technician's certifications, not just the test they were doing wrong. In addition, any test results that were previously obtained by that technician for that test method will no longer be valid. In the AASHTO test method for fine specific gravity (T 84) you CAN wash the fines. As of right now Caltrans will be allowing the washing of fines in Superpave. The reasoning for this (and for the short lived change in 2011) was that Caltrans wanted to give industry the ability to recreate what may happen in the plant production environment. For instance, if you have a mineral filler system on your plant, the fines will have been removed in production and washing your fine specific gravity sample in the mix design process may be justified. However, in a plant that does not remove the fines during production the washing process in the lab would be unnecessary. With Superpave you will have the ability to do one or the other but it will likely be your responsibility to ensure that the Caltrans lab is using the same method that you are. The Fine Aggregate Angularity (FAA) test is now mandatory for all mix designs, not just when you have under a certain percentage of sand. It is recommended that you purchase the SP-2 Superpave Mix Design handbook from the Asphalt Institute here. The asphalt institute is also working on rewriting their MS-2 Mix Design Methods for Asphalt Concrete which will now include Superpave mix designing but that will not likely be released in the next year. All of the changes I mentioned in these posts are for the PILOT projects and may change at full implementation in 2014. There is a lot of industry concern about being able to obtain some of these conditions (specifically some of the variances). When this was discussed with Joe Peterson, he encouraged industry to compile data to show that the condition may not be feasible and that he is open to changing them if he has sufficient empirical evidence. This really goes for any of the specifications or Caltrans rules. Be sure to voice your concerns and bring some of the issues to the table with Caltrans so they are aware that industry is struggling and why. There are a lot of major changes coming about and there are going to be speedbumps and realities may have been overlooked in the specification design process. I encourage you to create good working relationships with your Caltrans counterparts and get involved with the various associations that are making major headway for the industry. The better the communication is, the more likely we are to find an appropriate solution in the long run. One way to build a good communication base is to use our Superpave Discussion Forum. Please feel free to post any of your questions, opinions, and concerns. Utilize this area to discuss your findings and work with other companies to make the changes you feel are needed. The Caltrans district presentations above will give priority to Caltrans employees but Industry professionals are also invited to participate. If you would like to attend one of the Caltrans district presentations you can reserve a spot in advance by contacting Roseanna Rodriquez of Caltrans at (916) 227-7020, or via email at Roseanna_rodriguez@dot.ca.gov. The CalAPA meetings do not require pre-registration. For more information on the Caltrans Superpave movement visit the Caltrans Superpave Resource page here, where you can find general information on Superpave, a list of the new AASHTO test procedures that will be used, the most recent versions of the Caltrans Superpave specifications, and more. Caltrans now has two e-mailing lists set up to alert stakeholders of changes to its Construction Standards and Construction Manual. You can sign up to receive notifications of changes made to the Caltrans Construction Standards, which includes the Caltrans Standards Specifications, Standard Special Provisions, and Standard Plans, at http://lists.dot.ca.gov/mailman/listinfo/construction-standards-updates-announce. You can sign up to receive notifications of changes of Construction Manual Updates in addition to Construction Policy Bulletins and Construction Procedure Directives at http://lists.dot.ca.gov/mailman/listinfo/construction-manual-updates-announce. Welcome to our third post on the upcoming changes to the Caltrans specifications that are coming about with the instituting of Superpave. The first post, Changes I, focused on changes to the paperwork and paving procedures. The second post, Changes II, focused on changes that affect the operations group at hot mix asphalt plants. 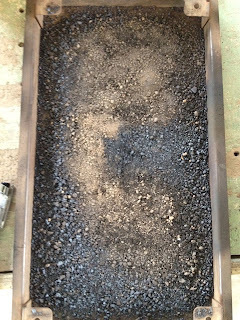 This post will focus on the changes that will affect you if you produce RAP and add it to hot mix asphalt. Where RAP is applicable, it will now be included in mix designs at 25 ± 1%. In many jobs 25%, not up to 25% will be required. This is a big change from Caltrans' previous maximum of 15%. During production, you will now only be able to vary the RAP content by 3%. This may cause a problem from those of you who use your feeder settings as a way to regulate your gradations and oil contents. It is another specification that Caltrans is instituting to encourage producers to regulate their mix BEFORE it hits the hot plant, IE during aggregate, or in this case RAP, production. For surface courses, Caltrans will allow a 25% binder replacement and the contractor has the option to bump down the virgin binder grade. In lower courses, Caltrans will allow up to 40% binder replacement but a bump down in virgin binder grade will be required. Since the binder in RAP is weathered and oxidized from years exposed to the elements, the binder is stiffer than a virgin binder would normally be. When a higher content of RAP is added to a hot mix, the mix itself gets stiffer due to the recycled binder. The bump down in virgin binder allows the mixture of recycled binder and virgin binder to retain a stiffness that is still workable and long lasting. This is one area that your operation will want to examine costs on. Although you are saving money on using RAP in the mix, depending on the cost of the softer binder, you may end up spending more money on a higher RAP content mix than a standard 25% RAP mix. RAP must now be fractionated into + #4 and - #4 piles. You can no longer use one size RAP if it includes sizes from both + #4 and - #4. You will now need two separate RAP piles and two separate RAP feeders. There are now tighter variances on your RAP stockpile testing. The binder can only vary ±2% throughout the pile and the RICE Specific Gravity variance is now Gmm±0.0600. Despite the new variances, you can still have live RAP piles but you will need to do frequent testing to verify the variances are within specifications. There have already been some industry complaints regarding several of these RAP specifications. I will mention again that if you feel that your plant will NOT be able to meet some of these specifications start recording data to prove it NOW. Caltrans is open to adjusting these specifications but industry will have to prove its case. Step up and do so. Our next Superpave post will focus on the changes that are coming to Mix Designs and Verifications. Stay tuned! In my last post here I addressed upcoming changes to the paperwork and changes that paving crews should look out for as we progress into Superpave with the pilot projects in 2012 and 2013. This post will address the changes that the operations groups at hot mix asphalt plants will have to be prepared for. 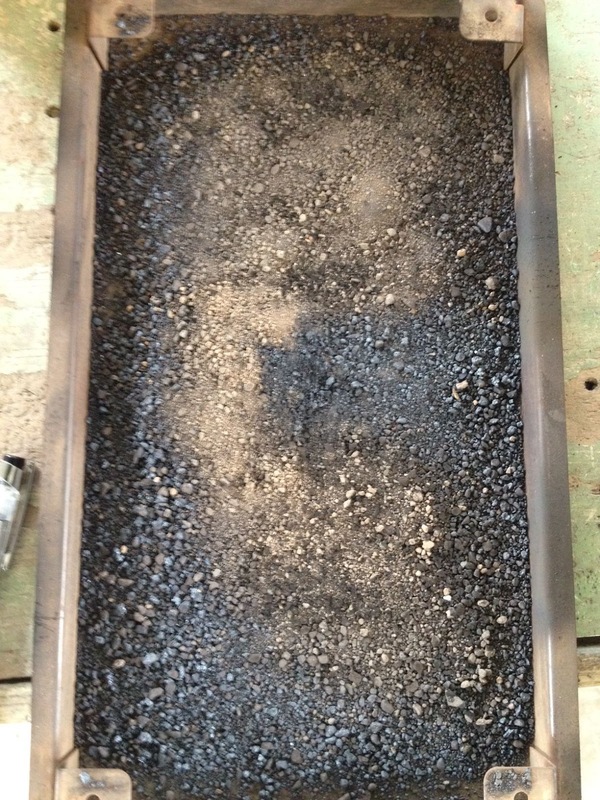 Caltrans will be watching and enforcing the plant's asphalt binder set points now. Your plant's setting MUST match the optimum binder content that is shown on your JMF when you verify your mix. If you fail the first verification you will be allowed to adjust the binder set point ± 0.2% from the optimum binder content. During production, you can only change the set point with written consent by the RE. This means that you will no longer be able to adjust your plant up or down with changes in your test results but will need to ensure that all of your plant components are operating correctly at all times. Joe did mention that if you know for a fact that your plant is always set high, for example 0.3% higher than you are actually putting in, you can have this difference approved by your RE prior to starting the job. There are now tighter HMA production specifications. For example: air voids are now ±1.5% as opposed to ±2.0% & Binder Content is ±0.3% in HMA. and ±0.4% for RHMA as opposed as ±0.5% in previous specifications. The change in binder content specifications is one particular area that industry is extremely worried about. Caltrans has already heard a plethora of complaints about this change in specification and Joe made sure to mention that these specifications are currently ONLY for the pilot projects and have not been set in stone for the full implementation in 2014. He fully anticipates changes to these specifications to occur but pointed out that he cannot make a change unless he has the data to back it up. He encouraged all industry companies to keep careful track of their data over the next couple of years and compile a logical analysis that can prove their contention that the specification will not work. He is completely open to making a change to the specifications if he has the data to back it up. You will now be told to stop production if you have two out of specification test results in a day. Unlike before when it would have to be two of the same test results in a row, if you have two of ANY test results out of specification in one day you will need to shut down. AKA if your sublot 3 is out of specification in binder and sublot 6 is out of specification in SE, you will need to shut down until you can prove that you've made a change that will fix the problems. The minimum binder content in RHMA is increasing. The new minimum will be 7.5% TWA and it will probably be moving to 8.0% soon after. Currently the minimum binder content is 7.0% TWA. Superpave will produce even bonier mixes! Most cities will want to move from ¾” to ½” in their design phase. Due to the bonier nature of the new mixes you will likely be using less SAND and in some cases less dust. You may need to adjust your aggregate and/or hot plants to account for this. If you feel that your plant will NOT be able to meet some of these specifications start recording data to prove it NOW. Caltrans is open to adjusting these specifications but industry will have to prove its case. Step up and do so instead of complaining about the changes. There are several industry associations such as CalAPA and CalCIMA that are working on these initiatives and the more information and data they have the more likely that they will be successful. Our next Superpave post will focus on the changes that are coming to RAP. Stay tuned! Sorry for the hiatus from updates, its been an extremely busy month for me! There is better definition of what each adjustment is for. The calculations shown in each example are easier to follow and understand where the final value comes from because they show the calculation and what each calculation equals instead of only showing the calculation. It also shows the answer to the hundredth decimal place so that you can see how it’s been rounded in the “as used” column. Most of the adjustments’ wordings have been made broader. Instead of referring to “a portion of the passing 4.75mm material”, it refers to “the portion of the material passing a designated sieve”. The diagrams are more explanatory. The adjustments are now broken down into four parts: A definition section which explains when this particular adjustment is used, Procedure which is a summary of the adjustment, Example, and Calculations/Adjustments which explains the calculations used. This defines the adjustment better and makes each one easier to understand and refer to. In Adjustment 5, the calculation for determining the total amount of material before wasting has been corrected by changing 10,000 / (100-3)=10,309 g to 10,000 / [(100-3)/100]=10,309 g. This same type of correction was made in adjustment #10. The equation in Adjustment 5 for determining the amount of material passing No. 4 sieve that will be needed before screening out the passing No. 200 material now uses 54% in the example instead of 55%. When moving from section to section, the adjustment numbering system does not restart. There are now a total of 11 adjustments covered over 3 sections. The July 2012 version of CT 105 can be found on the Caltrans website and here. It has been announced that Caltrans will no longer be sending a sample for CT235-Flat, Elongated Particles in Coarse aggregates with the May 2012 RSP set. 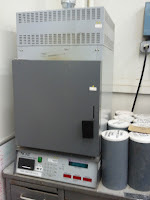 Instead they will be sending samples for CT 207-Specific Gravity and Absorption of Fine Aggregates. A sample for CT 234-Method of Test for Uncompacted Void Content of Fine Aggregates will still be sent along with the CT 207 sample. If you did not receive an email from Caltrans alerting you of this change or are now eligible to test the materials for this RSP sample set now that CT 207 is being offered make sure you contact Ms. Frances Banda at caltrans_reference_sample_program@dot.ca.gov. You may have heard rumors flying around that Shell has decided to get out of the asphalt bitumen market. As of May 2012 Shell's refinery in Martinez, California will no longer be producing asphalt bitumen as one if its products. This is largely due to the larger demand for other petroleum products going forward. In recent correspondence, Mark Bouldin, Regional General Manager Americas Specialties of Shell, states: "As you are probably well aware of, this is a very difficult time for the refining industry, both internationally and nationally, and in California specifically. Hence we have had to focus our initiatives. Regrettably, given the urgency to streamline and optimize our operations it is impossible to further delay our consolidation beyond the previously announced date without experiencing additional impairments." Shell's Martinez plant has the capability to produce several types of products from crude oil. It is capable of converting up to 165,000 barrels of crude a day into products such as automotive gasoline, jet fuel, diesel, petroleum coke, industrial fuel oils, liquefied petroleum gas, asphalt, and sulfur. With California's economic recession in full swing, Shell has been constantly evaluating the construction market's forecasts for asphalt bitumen. It's not surprising to hear that with 2013 and 2014 showing little construction funding coming in, Shell has decided to streamline their production facility in Martinez and focus on its other products. This will undoubtedly leave a gaping hole in the supply of asphalt bitumen to the California markets. Shell's Martinez Refinery has an estimated capacity of 3,000 tons of asphalt bitumen production capacity per day and is the 4th largest refinery in California. With the loss of such a big player...the looming question remains whether our asphalt prices will raise yet again in the coming months.